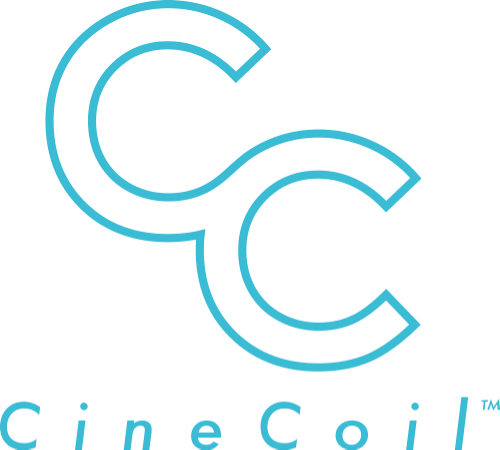 CineCoil is a line of cables designed for Film and Television production. Our catalogue includes Coil BNC / SDI cables, EVF/LCD and LEMO power cables. Home of the original coiled BNC! Our CineCoil RED compatible EVF / LCD cables stretch from a retracted 7” length to over 14” long. These cables were built to stand up to the harsh environment of a professional set, and offer users an alternative option for camera cabling. Both ends feature 90º Push-Pull connectors, reducing strain on camera ports, while keeping the cable out of the way and directed toward the camera. This creates a tight configuration, ideal for hand held and Steadicam operation. * Compatible with EVF, 5" and 9" LCD monitors. Coil based HD-SDI cable. The 20" comfortably extends an additional 12" to allow mobility and adjusting of on board monitors, wireless systems, and recorders. The 10" extends an additional 8". Ideal for on board monitors, wireless systems, and Steadicam™ configurations. Our TVLogic compatible cable uses a high grade metal XLR connector to increase durability. The 2 pin cable is 18" and extends out to 40". Our 4 pin cable is 12" and extends out to 20" The cable features over molded connections, and 22AWG cabling. These are the most robust TVLogic to LEMO cables available anywhere. Please stretch responsibly. Nice little stretch between monitors! @ajavideo latest ad in ICG features our BNC on their #CION Thanks guys! At the @woodencamera NAB party! Looking forward to seeing everyone tomorrow at booth #C9948!